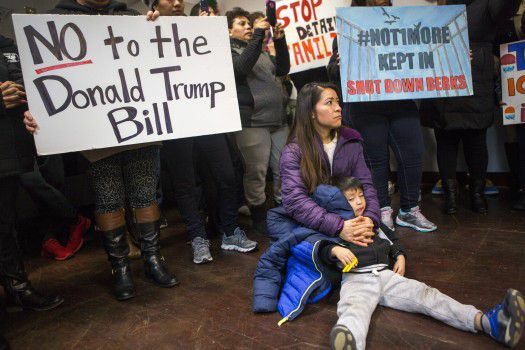 The Trump administration announced new deportation rules Tuesday with the potential to oust millions of residents — including those who have lived in the U.S. for years — alarming Bay Area advocates and stoking fears among immigrants. The rewrite of immigration enforcement policies means that anyone in the country undocumented who is charged with any offense or is suspected of committing a crime could be a target for deportation, according to Homeland Security Department memos signed by Secretary John Kelly. The directives outline how President Donald Trump’s executive orders will be carried out, including building his promised border wall and getting tough on undocumented immigrants.